Artist Tracie Noles-Ross and her family are living and learning from the land. Most stress is of our own making. If you doubt this statement, spend just five minutes talking with Tracie Noles-Ross. Embracing the concept of permaculture and the simple abundance of self-sufficiency, this Roebuck-area Renaissance woman — a painter, sculptor, gardener, beekeeper and mother, to name but a few of her roles — is living a life delightfully out of sync with what many would define as the American Dream. Adaptable and easygoing, Noles-Ross and her husband, Olsen, have created their own utopia on a 5-acre farm in Roebuck, where they are raising their daughters, Tanzi, 9 and Zaida, 6. “I hope that our life here in this place where we are surrounded by woods and meadows, where we encourage and maintain wildlife habitats as well as tend our animals offers the kids some connection to nature,” Noles-Ross says. “We have dogs, cats, rabbits, chickens and bees. There are a lot to care for here.” (The family also grows walnuts, hickory nuts, blueberries, blackberries and strawberries, as well as vegetables). For Noles-Ross, this is also a lesson in which she continues to immerse herself as a visual artist. “There are almost always underlying themes of interconnectedness in my work now,” she says. “It is about holistic living and the joys and worries of daily life. The more slowly and deliberately we live our lives here, the more direct my narratives have become. “Watching a child build a fairy house from tree bark and berries while sitting out in the sun inspires a different sort of storytelling than the introspective tales I spun in my younger days. The stories I tell now also rely on the quiet and tiny details of my external life. My children have given me a new perspective on everything. One practical way Noles-Ross is giving voice to this passionate belief is through the family’s farm. “It’s like the house that Jack built,” she says. 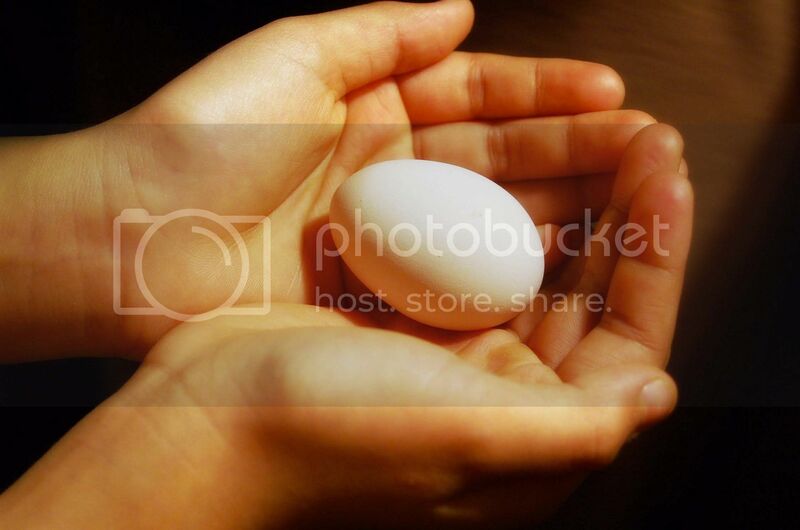 “I now have enough fresh eggs to feed my family, and my dogs and cats. The garden also feeds us, my dogs, my rabbits and my chickens. We all give a little and we get a little in return. The dogs guard the hens. The rabbits and hens contribute good soil-making byproducts to my compost heap for the garden. We humans plant, tend and harvest the garden, the bees pollinate the plants and then the cycle starts all over. For Tanzi and Zaida, the farm is more of a wonderland where the girls, who are homeschooled, can cook, explore and discover the countless delights of their environment. For Noles-Ross, the role of motherhood is one that blended beautifully with her role as an artist influenced by her environment. “I never set aside my paints when I became a mother,” she says. “On the contrary, I think my creative juices were revived after I brought my daughter home. I made more art in that first year of motherhood than I had in the previous five. I felt I had more purpose in life, and she was a great studio companion. “The girls were always with me. I never took them to my mom’s or got a sitter to paint. There would be a quilt on the floor, and they would crawl around and play with my art supplies. They would color stuff and hang it on the wall next to mine. (Tanzi) drew on the backs of the paintings. These paintings were sold, and people have these child scribbles on the back. Indeed, the artist’s children are not only absorbing her creative instincts but also her resourcefulness. In addition to using beeswax as sculpting material, the clever Earth mama also uses it to make lip balms and lotions. Tracie’s husband, Olsen, a schoolteacher, makes his own contribution to their homeschooling efforts. For Noles-Ross, teaching opportunities are endless, and they blend seamlessly with the permaculture-oriented lifestyle practiced so deliberately by the Ross clan. “We listen to music and audiobooks while I am painting,” she says, adding that much painting is now done at the kitchen table, or in a 5 x 7 sketchbook on the go. As for what’s next for the sustainability-focused artist? Perhaps it’s a new way of thinking about an old hobby. During a recent exhibition with the Alabama State Council on the Arts, Noles-Ross arrived to find enlarged excerpts from her personal blog hung alongisde her art (thanks to the creative thinking of visual arts program manager Georgine Clarke). What a wonderful, inspiring story. Thanks so much. a nice article, it takes me back to my child hood, the chickens , the garden and the dirt. thanks and hello to the kids, GRANDADY IS WATCHING. A GREAT E-MAIL, I ENJOYED IT. TAKES ME BACK TO THE FARM WHEN I WAS A KID. Tracie and Olsen have good souls and this story shares just that. I’ve know both of them for years from the arts community, value their contributions. Birmingham is fortunate to have people with passion, like the Ross’.